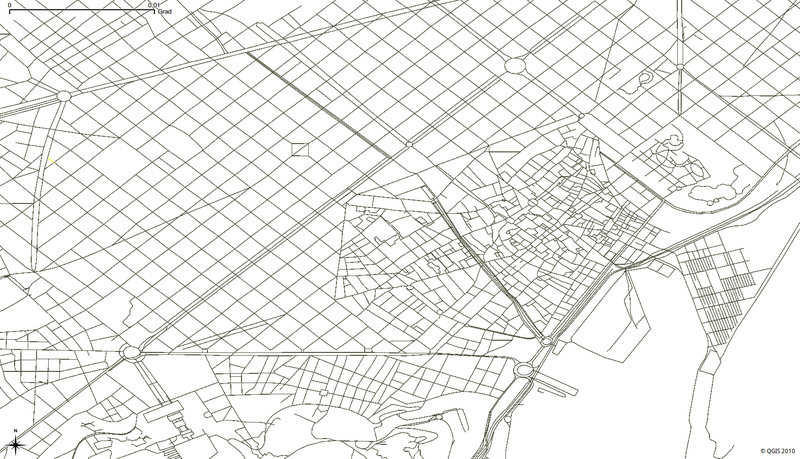 osm2pgrouting is a convenient tool, and its focus to work on OpenStreetMap data. There are several cases where osm2pgrouting can’t be used. Some network data already comes with a network topology that can be used with pgRouting out-of-the-box. Often network data is stored in Shape file format (.shp) and we can use PostGIS’ shape2postgresql converter to import the data into a PostgreSQL database. In this chapter you will learn how to create a basic Routing Network Topology from a network data that does not have a routing Topology create the minimum attributes needed the Routing Network Topology . At first we will load OpenStreetMap sample data with osm2pgsql. psql -U user -d osm_data -c "CREATE EXTENSION postgis;"
psql -U user -d osm_data -c "CREATE EXTENSION pgrouting;"
Run: psql -U user -d osm_data -c "\d"
The table containing the road network data has the name planet_osm_roads. It consists of large amount of attributes. Run: psql -U user -d osm_data -c "\d planet_osm_roads"
This allows to display the road network as a PostGIS layer in GIS software, for example in QGIS. Though it is not sufficient for routing, because it doesn’t contain network topology information. The next steps will use the PostgreSQL command line tool. Having your data imported into a PostgreSQL database might require one more step for pgRouting. Make sure that your data provides a correct Routing Network Topology , which consists of information about source and target identifiers for each road link. The results above, show that the network topology does not have any source and target information. Creation of the Routing Network Topology is necessary. PostGIS topology is not suitable for Routing. pgRouting provides a general way for creating the Routing Network Topology with the pgr_createTopology function. It can logically “snap” nearby vertices within a certain tolerance by assigning the same identifier. Creates a vertices table related to it. For additional information see pgr_createTopology. First add source and target column, then run the pgr_createTopology function ... and wait. Depending on the network size this process may take from minutes to hours. It will also require enough memory (RAM or SWAP partition) to store temporary data. the_geom is the geometry considered for that particular vertex identifier. Additional columns are for analyzing the topology. Now we are ready for our first routing query with Dijkstra algorithm! Is an isolated segment an error in the data? Is an isolated segment because its on the edge of the bounding box? Do the potential gaps found near dead ends because the tolerance was too small? Are the intersections real intersections and need to be nodded? Are the intersections bridges or tunnels and do not need to be nodded? Depending on the application some adjustments need to be made. Some topology manipulation functions help to detect and fix some of the topological errors in the data.